It is official! We have set a date for the 2019 Ohio Odonata Society Statewide Conference! See below for details. Registration forthcoming once more gets clarified. When: May 31st – June 2nd! Mark your calendars now so you don’t double book that weekend! Why: Why not? Join us for our annual meeting to hang out with other engaged naturalists. 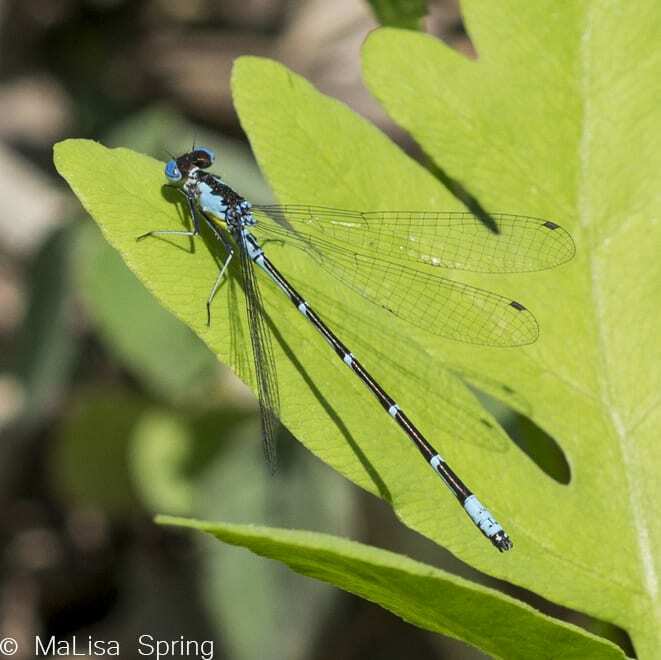 You can attend presentations on dragonfly and damselfly identification, ecology, using iNaturalist, and so much more! Oh, and there is a field trip portion on Saturday afternoon so you can apply your new skills and see some cool southern Ohio flora and fauna. This is a conference for beginners and advanced alike, with field trips to areas with cool odes (and birds, and leps, and bees). Plus, we are likely to encounter two state endangered species of dragonflies, the Blue Corporal (Ladona deplanta), and Uhler’s Sundragon (Helocordulia uhleri). Potentially see rare and threatened species like the state listed Uhler’s Sundragon or Blue Corporal! 10 AM: Head out to more field sites (self guided or team up with groups from Saturday) or head home. A list of further out field sites will also be provided. He will talk about his recent research on Blue Dashers and temperature on development. You can select to go to a field trip on Saturday. You are not required to go out in the field (or attend presentations), but we recommend both to get the optimal experience. Note that most of this region is relatively understudied, so we do not have comprehensive species lists for the really cool dragonflies and damselflies that we might find at each site, but instead a list for the region in general. Field guides: Below are a list of verified trip guides, with more being added once we get their bios. MaLisa Spring – State Coordinator for the Ohio Dragonfly Survey and Vice President of the Ohio Odonata Society. MaLisa has a Masters of Science in Entomology from The Ohio State University and a Bachelor’s of Science in Biology from Marietta College. Past experience includes bee richness and floral use, ladybeetle diversity, and mangrove restoration in abandoned shrimp farms. Jim Lemon – SW Ohio Regional Coordinator with a Master’s of Science in Entomology from The Ohio State University and Past President of the Ohio Odonata Society. Although retired from OSU, he stays busy as a Volunteer Naturalist in West Central Ohio; Co-Chair, Urbana Tree Commission. Shane Myers – NW Ohio Regional Coordinator for the Ohio Dragonfly Survey and President of the Ohio Odonata Society. Shane has a bachelor’s degree in Wildlife Biology from University of Findlay and active member of Hancock County Naturalists. Linda Gilbert – NE Ohio Regional Coordinator and staff of Geauga Park District as a naturalist and field technician. She is a co-author with Larry Rosche and Judy Semroc of Dragonflies and Damselflies of Northeast Ohio 2nd. ed. Linda is also a professional musician and holds degrees in music from Baldwin-Wallace College Conservatory and Cleveland State University. Bob Glotzhober – Central Ohio Regional Coordinator and retiree from the Ohio Historical Society after 33 years. Bob led the 1991-1999 state-wide survey of dragonflies and damselflies, and Co-edited of The Dragonflies and Damselflies of Ohio. He was also a high school Biology teacher, naturalist for the National Wildlife Federation and Michigan Audubon Society, and served on the Federal Recovery Team for the Hine’s Emerald Dragonfly. 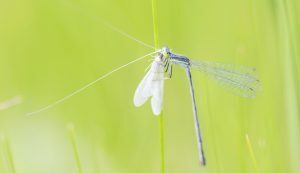 In 2008 Bob was awarded the Wildlife Diversity Conservation Award by the Ohio Division of Wildlife for his work with dragonflies and damselflies in Ohio. Dave McShaffrey – Biology professor at Marietta College, co-director of the Institute of Arthropod Research, and manager of the Barbara A. Beiser Field station. He has BS and MS degrees in Aquatic Biology from the University of Akron and a PhD in Entomology from Purdue. 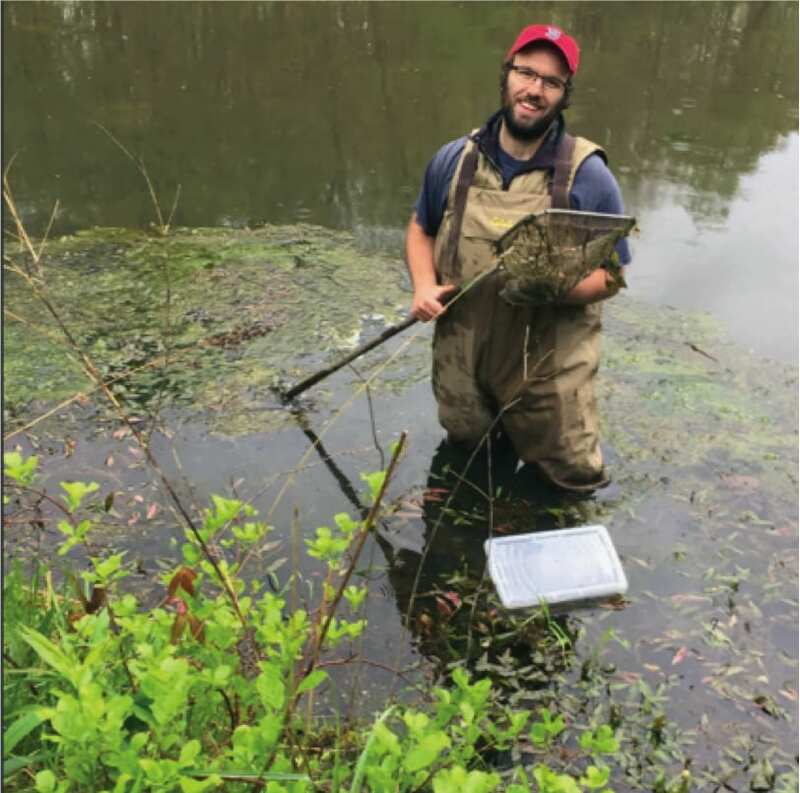 His research includes water pollution biology, biogeography of Chironomids and Odonata, functional morphology of aquatic invertebrates, and forensic entomology. He co-edited The Dragonflies and Damselflies of Ohio and co-authored the Ohio Division of Wildlife booklet on Odonata. His photographs have appeared in numerous field guides and textbooks. Larry Rosche – Larry is an active NE Ohio odonata enthusiast. He co-authored Dragonflies & Damselslfies of Northeast Ohio along with Linda Gilbert and Judy Semroc. A fountain of knowledge, he can identify species based on flight pattern and other behavioral characteristics. He has worked for the Department of Natural Areas and Preserves in Ohio and then went on to work for the Cleveland Museum of Natural History. Judy Semroc – Conservation Specialist in the Natural Areas Division for The Cleveland Museum of Natural History. She is the founder of Operation Botanic Rescue (a volunteer plant rescue group) and Chrysalis in Time‚ the first Ohio chapter of the North American Butterfly Association (NABA). Judy was the recipient of the “2013 Outstanding Staff Achievement Award” for the Cleveland Museum of Natural History, and the Portage County “Environmental Hero Award.” Along with Larry Rosche & Linda Gilbert, Judy co-authored the popular field guide’ “Dragonflies & Damselflies of Northeast Ohio” in 2008. As a former Petroleum Geologist and science teacher, Judy loves to share her passion for the natural world through hikes, interpretive programs and photography. Who doesn’t want to see the Aurora Damsel in it’s natural habitat? 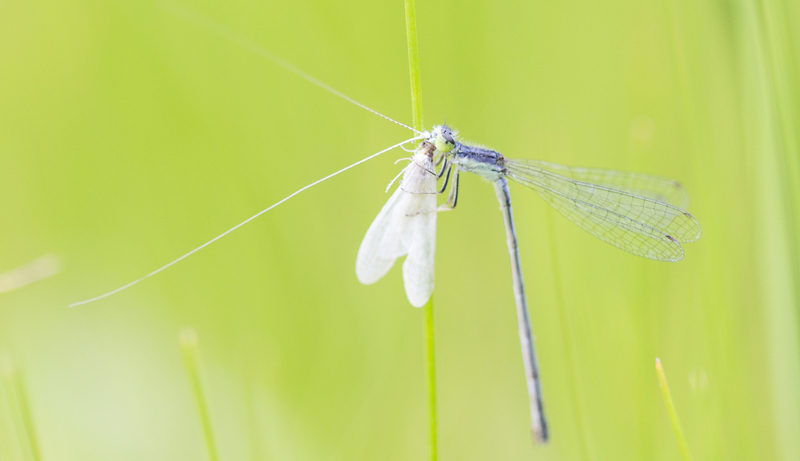 This beautiful blue damsel is an early season species, so we are likely to see a few. Emeralds (Family Corduliidae): Common Baskettail (Epitheca cynosura), Prince Baskettail (Epitheca princeps), Uhler’s Sundragon (Helocordulia uhleri) – State Listed, but larval records show it should be down there! We will also be in southern Ohio for the peak season of Twin-Spotted Spiketails, so don’t miss out! There are a couple options for housing. You can find your own housing in the nearby towns about 15-30 minutes away or you can choose to stay in the dorms on campus. On campus – cheap per room (37$ per night per person), but you must bring your own bedding, pillow, and shower supplies. Rooms can be single, double, or quad occupancy, depending on which dorm we are in. Bathrooms are communal by floor. There should be refrigerators available in the rooms. Off campus – most around a 20 minute drive. The listings below are some of the nearby housing options. Cabins at Rocky Creek – Maybe have availability. Call to check. Prices for them range from $65-$95 a night based on the number of bathrooms and kitchen supplies. Wifi is available though. Jackson Lake State Park – Electric hook ups and tent sites available. Krodel Park Campground – Seems like mostly electric hook ups for campers, but it also has some waterfront view in West Virginia, so you could get some records there before coming to the conference. AirBnb options: There are small cottages and apartments available within a reasonable drive. I (MaLisa) have had mixed experiences with AirBnb hosts, but it is an option. All meals are on your own, but we will have the university dining location open their doors for lunch and dinner (but not breakfast) on June 1st. The meals cost $7.43 for Lunch and $10.19 for Dinner. MaLisa is working with them to make sure we have ample vegetarian/vegan/gluten free options on their food line. Linnea Campbell Ceramic Art – get some cool pottery and other homemade items! Red Wing ArtScapes – Meet Kathy Larson and her cool nature inspired jewelry (earrings and necklaces)! Festive Fabric Arts – Meet Cindy France with her fabric art and hand sewn items with nature designs. She also has an instagram. 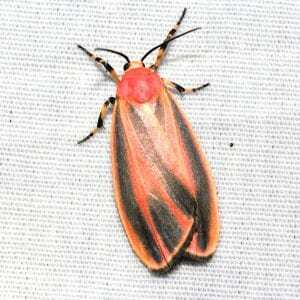 If the weather is good, we will try to have a moth sheet running at night for the nocturnal insect enthusiasts. While we hope you enjoy your time learning about Odonata at the conference, we also have plans for a light sheet one of the nights (weather pending – no one wants bulbs exploding). Light sheets should attract moths, beetles, and other arthropods. Note that private collections are prohibited. If you would like to collect specimens as part of a research activity where specimens will be deposited in a museum, please reach out to MaLisa Spring so we can work on the paperwork together with the park systems. $10 for student, $40 for regular attendance – meals and housing are separate. Financial assistance for registration: Please reach out to MaLisa Spring (spring.99@osu.edu) if you would like financial assistance for registration to the conference. In your email, please include your name and why you would like the assistance. We can also attempt to work out carpooling and room-shares as needed. We have a registration cap of 170 attendees. Please register and share with your friends! We would love to have new enthusiasts join us for presentations and field fun! Do you plan on joining us for lunch and dinner at the university dining hall on Saturday June 1st? Meals are $7.42 for lunch and $10.19 for dinner. You pay at the door. Are you interested in being in a field trip that gets wet (kayaks, canoes, or wading in streams)? Yes, and I can bring my own Kayak/Canoe/Waders! How are you paying for your registration? You can either mail a check to MaLisa Spring at 1315 Kinnear Road Columbus Ohio 43212 or click on the payment link on the next page. Your registration is not complete until we have both your registration information from this form and payment. The conference is limited to 170 people, so please get both in as soon as possible. We will send an email confirming your final registration and payment. Registration is $40 for regular admission and $10 for student admission. Housing: on-campus dorm housing is available for $37 a night per person (so $74 total). However, you would need to bring your own bedding (sheets, pillows, etc) and shower supplies. Would you like to stay in the dorms? If you want on-campus housing, are you willing to share a room with someone? While at the Dragonfly Conference, would you be interested in guides pointing out any of the following taxa? 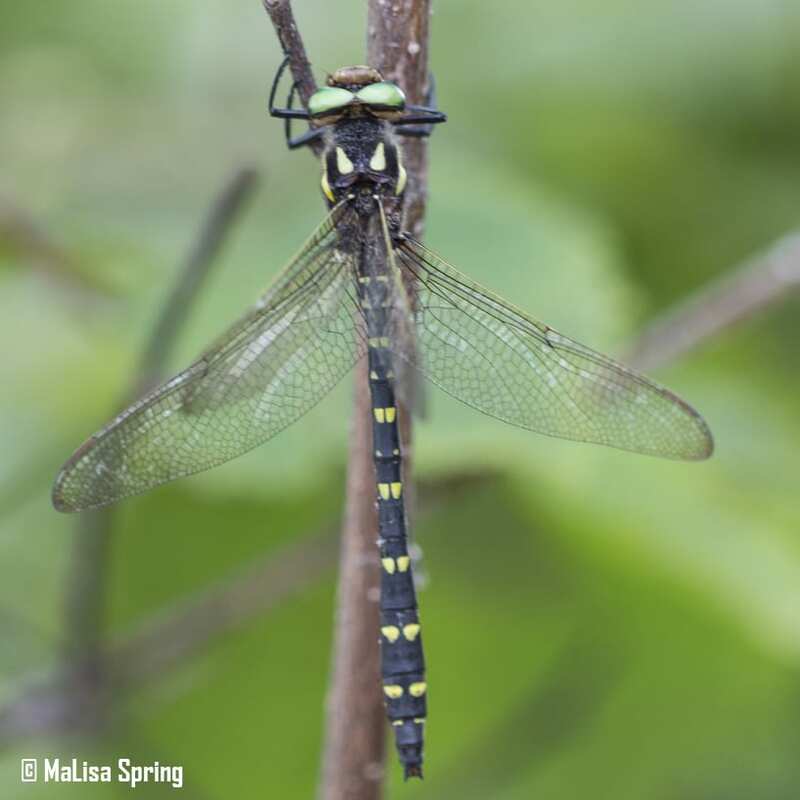 Are you aware that admission to the Ohio Dragonfly Conference also includes a one year membership in the Ohio Odonata Society, and includes OOS voting rights? How did you hear about the Ohio Dragonfly Conference? For help with our records, what is your iNaturalist username?